Scottsdale Lifestyle. Enjoy and relax in this well maintained home with excellent appeal and desire. Entertain all your closet friends and family under huge outdoor covered patio area overlooking pool. Newly remodeled kitchen with granite counter tops and custom under mount lighting. This spacious 4 bedroom home features a split floor plan with Master Bedroom and guest bedroom on 1st level. Upstairs level features 2 additional bedrooms and full bath. Bright and Open Family rm has fireplace with open views to rear patio and pool area. Newly installed wood look tile floors in Family Rm, Dining Rm, and Kitchen makes home very accessible and easy care. 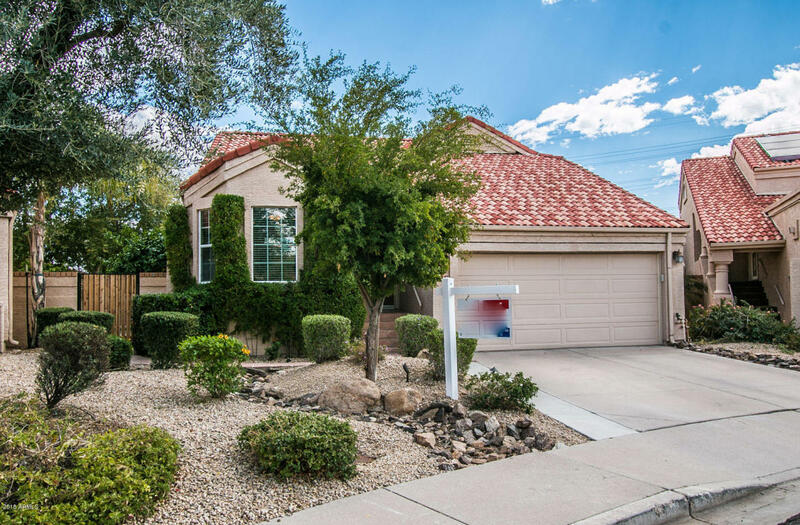 Scottsdale Location with shopping, freeways, and schools just minutes away. Owner Motivated so lets make a deal today.